Family Medicine is the only specialty that cares for all patient at all stages of life. Read more about Family Medicine at the University of Washington. Family Medicine courses include clerkships, internships, preceptorships, and other non-clinical curriculum. 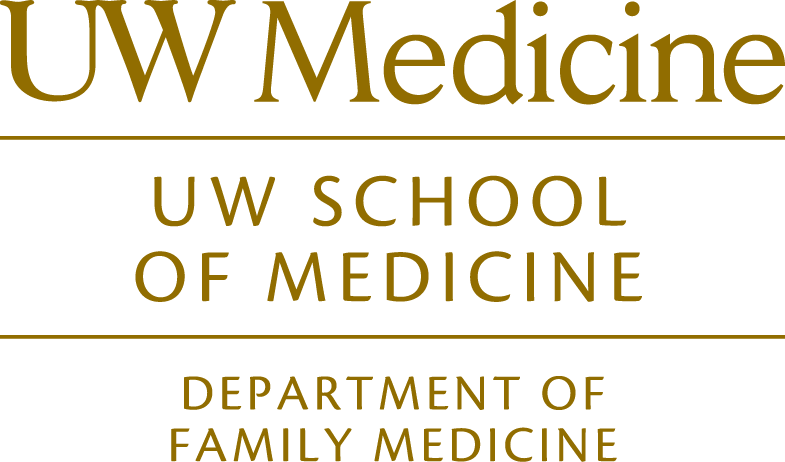 UW Family Medicine programs are innovative, relationship-centered and community-based, emphasizing population health, community engagement, service learning and continuous quality improvement. The University of Washington Family Medicine Medical Student Education Section develops and delivers innovative, high-quality training to students who will serve the evolving needs of the diverse individuals, families, and communities of the WWAMI region, with emphasis on rural and urban underserved and other vulnerable populations. Health as a matter of social justice. All individuals, families and communities have a right to health and access to medical care. Family medicine as the foundation of health care for all, providing patient care that is patient-centered and evidence-based; and family medicine as a foundation for the development of all physicians. Excellent education that is innovative, relationship-centered and community-based, emphasizing population health, community engagement, service learning and continuous quality improvement. Inter-professional and inter-disciplinary collaboration that promotes teamwork, professionalism and respectful treatment of students, patients and colleagues. Diversity among our students, staff and faculty. Professional and personal development of students, staff and faculty. This site provides information about our required and elective courses and programs. Please let us know if we can provide you with additional information about the department’s medical student education offerings.